Happy New Year, Taste Bud Family! Can you believe it’s already 2016! I hope you all had a lovely holiday, I just returned from a trip to Amman (blog post coming soon) and am struggling to get back into the groove of things. I decided to kick off the year with a 1 week vegan cleanse (blog post coming next week) in an attempt to negate all of the meat I ate while traveling. Before I dive into my health bing, I wanted to share with you a few favorites in an emerging Dubai trend, restaurants that are both casual and licensed, a rare find. As you probably already know, it’s tough to come across charming, casual cafes and restaurants with al fresco dining, good ambiance, great food and a most importantly, a liquor license. While the evolution of street food and casual dining has propelled in this city, most recently I’ve noticed a number of charming casual and licensed spots opening up giving Dubai’s Marina and JLT neighborhoods a much needed facelift, just in time for winter. Here are two of my favorites of the moment. This beautiful Greek outpost gained my attention several months ago when they first opened and has since fallen victim to my obsessive compulsive behavior, frequenting the restaurant perhaps over a dozen times already (reference Busaba obsession). Before getting into the food, I can’t talk about Mythos without gushing about its charm. The taverna feels quite displaced over there in JLT, from the quaint stucco interiors to the eclectic mosaic tiles and the stone walls to the adorable lanterns and bountiful lemon trees on the intimate patio, Mythos feels as though it was plucked off Santorini and dropped at the base of the Armada Blue Bay Hotel. Having gained momentum rather quickly, Mythos has been near full capacity every time I dine there for lunch and dinner. 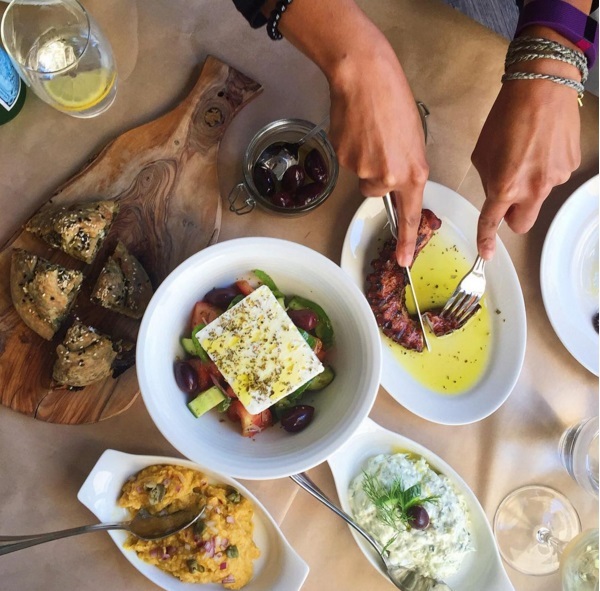 The menu is large and the dishes feel authentic and homemade, served mostly in clay pots or wooden cutting boards as they might be in those idyllic Greek villages. After countless visits, I’ve eaten my way through most of the menu and have found a few favorites. The overwhelmingly garlic Tzatiki is such a delight, offset slightly by the dill aroma, you’ll likely need to order seconds. The Fava Bean Dip is an unusual crowd pleaser, the mountain of pureed beans with capers and onions is perfection spread on a slice of rustic bread. Pass on the Spinach Cheese Pies and the Taramosalata (fish roe dip), definitely an acquired taste, but do indulge in the Tomato Kofta and my absolutely favorites, the white wine marinated Grilled Octopus and Grilled Halloumi served with a sweet yet sour oxymeli sauce. 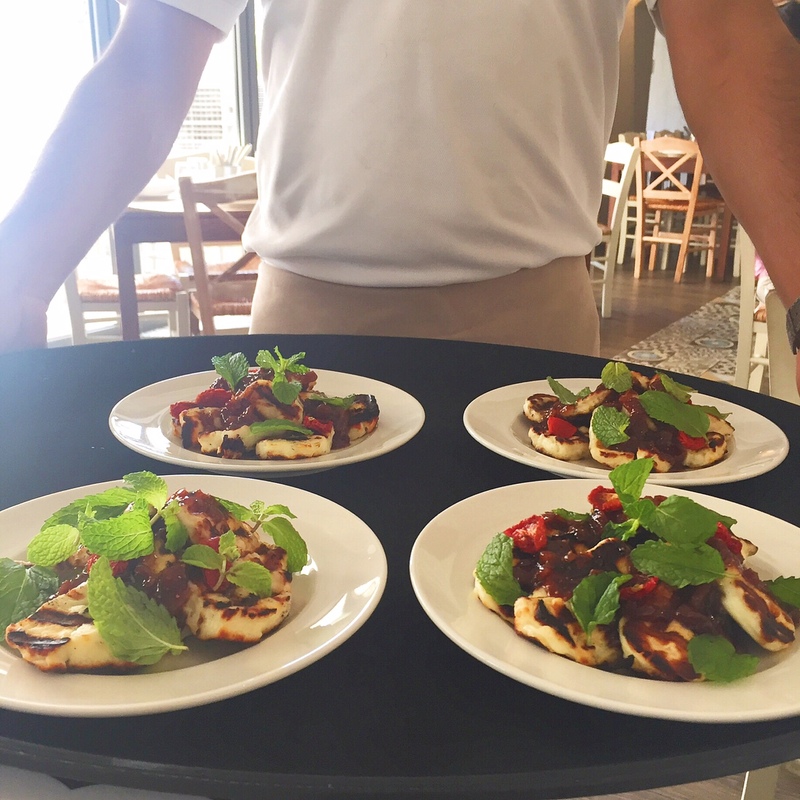 Mythos is best experienced by sharing several starters and sipping on wine as the mains have disappointed more than once, the Charcoal Grilled Lamb Chops arrived under seasoned on two occasions and the Greek classic Mousaka was disappointingly bland. 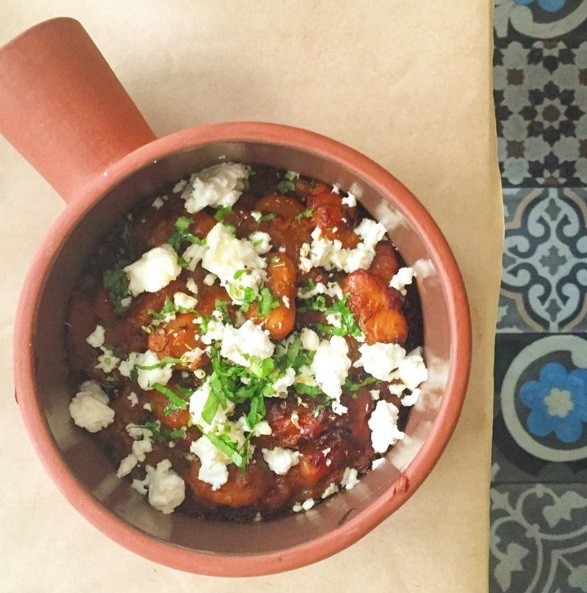 After many attempts to get acquainted with the mains, I looked outside my comfort zone and fell in love with the veggie clay pot Gigandes, a butterbean dish with tomato and fresh feta. 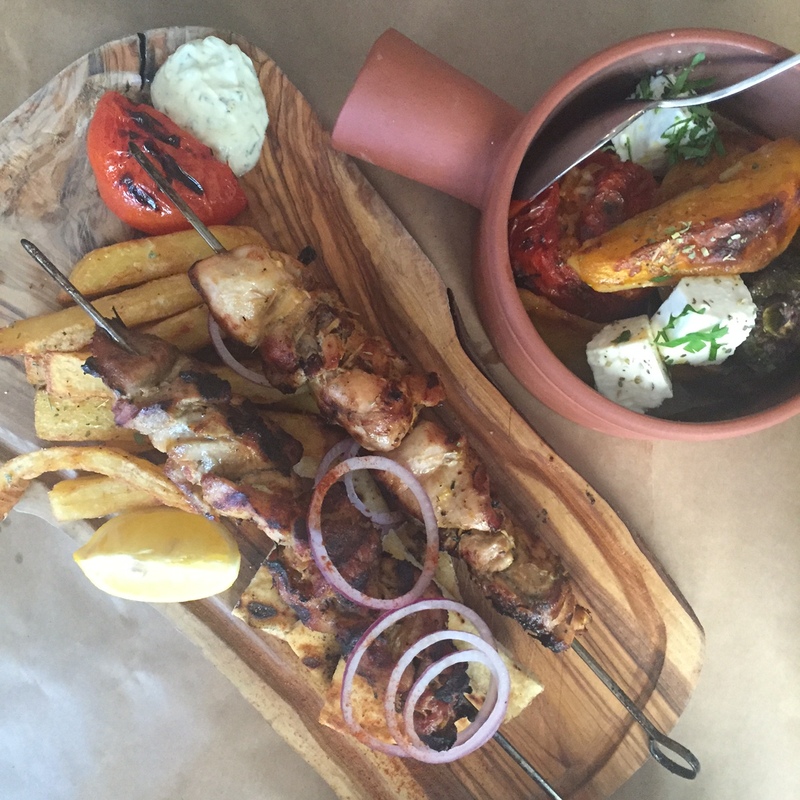 I later tried the Chicken Souvlaki and the Biftekia, a Greek-style burger made with a blend of lamb and beef which proved to be among the best dishes on Mythos’ menu. 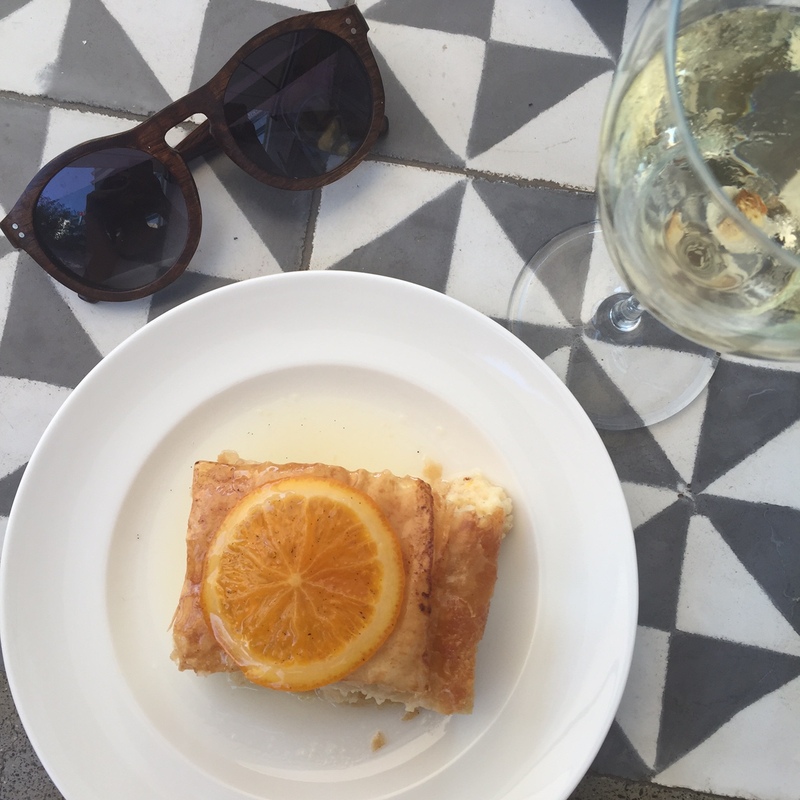 Be sure to go Greek when it comes to wine, namely the Greek Sauvignon Blanc qualifies as one of the best glasses of wine I’ve had in Dubai. Despite a few disappointing mains and spotty service, Mythos’ charm, al fresco patio, wine list and flavorful starters keep me coming back for more. 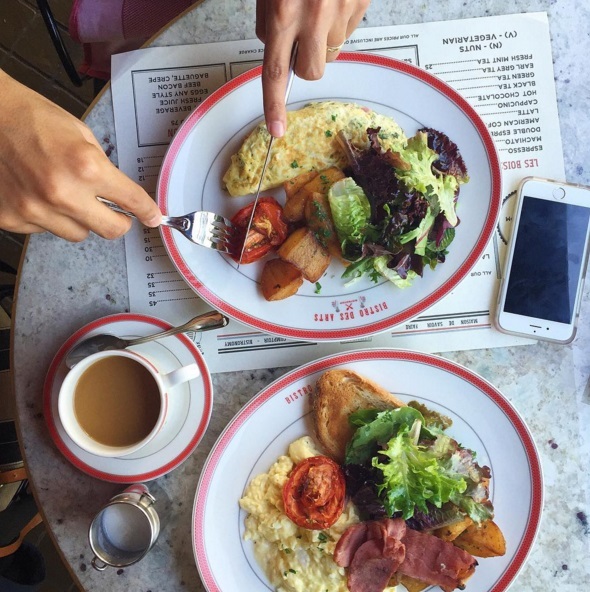 Ever since I arrived to Dubai I’ve been talking about the lack of cafe culture and wine bars in this city and Bistro Des Arts embodies just that. 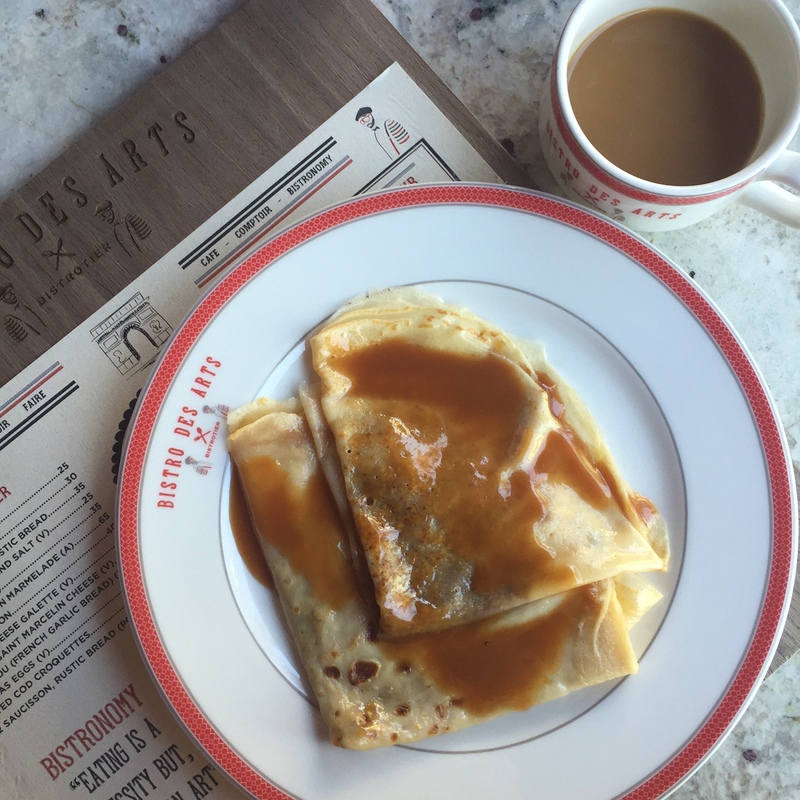 The adorable bistro also feels displaced, as though it was lifted from the cobblestone streets of St. Germain and dropped on Dubai Marina’s promenade. Deceivingly tucked away behind the Dubai Marina’s Address Hotel and elevated slightly from the bustling pedestrian neighborhood, Bistro Des Arts hides beneath a apple red canopy with unobstructed views of the marina. The space is effortlessly decorated in mismatched furniture and French countryside finishings. 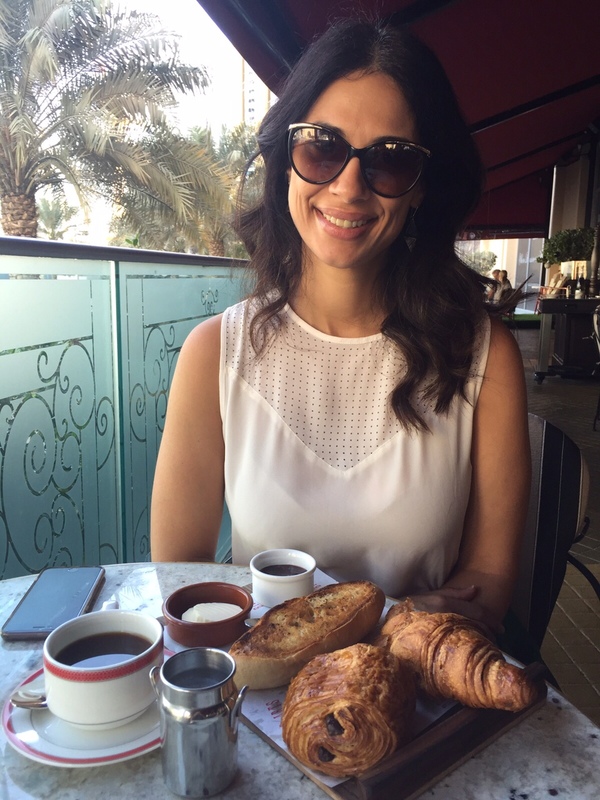 I recently spent a long morning on Bistro Des Arts terrace engulfed in a Parisian breakfast gazing at the wooden dhows sailing by while sipping on Dubai’s latest homegrown coffee concept, Boon Coffee. Service was friendly but not overbearing, the cafe’s owner plays a major role in the daily operations, a promising sign of any homegrown concept. The menu is extensive and littered with classic French dishes from Rabbit Ragout and Beef Bourgeon to Mussels and Truffled Brie. The wine list, displayed on one life-size and communal chalk board, boasts over 60 wines of which 90% are French and about 25 wines by the glass. 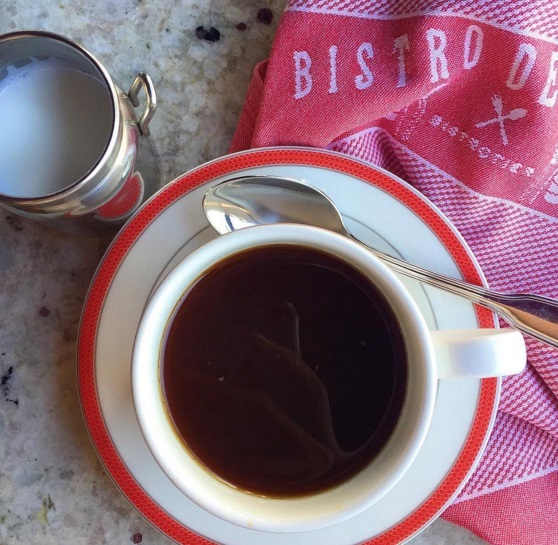 Disclaimer: I was a guest at Bistro Des Arts for my first visit however I have since returned on my own and as always all opinions expressed here are purely my own. Great blog. I have been food-hopping in dubai myself, checked out a few places like Wagamama at Palm, but will definitely visit this place.